Information on dates, tickets, transport and visiting Wimbledon at other times. 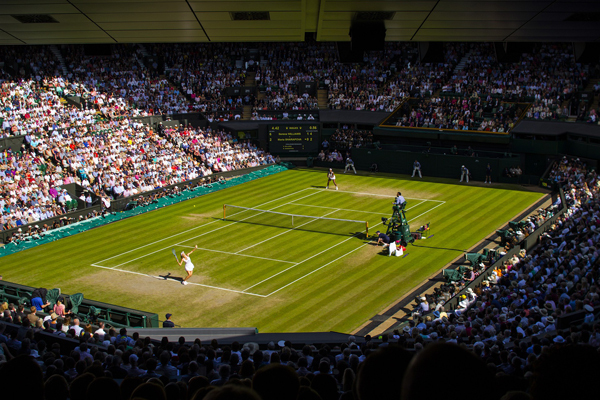 Wimbledon is the scene of some of sports finest moments and has an incredible history and iconic position within tennis and indeed all sport. Who can forget John McEnroe’s “You cannot be serious” or the young Boris Becker diving around on the grass? Steffi Graff, Martina Navratilova, Serena & Venus Williams, Roger Federer, Rafael Nadal and of course Britain’s own Andy Murray are all household names. The Championship runs across two weeks in July and this year (2018) it is being played from 2 July – 15 July. Over the course of the two weeks, you can expect attendance figures to touch half a million and viewing figures of over a billion across 200 territories. The current capacity of the grounds is 39,000 spectators but these daily figures can be higher due to the re-selling of used/unwanted tickets for charity. There are four main ways to buy tickets for Wimbledon. The only way to guarantee a ticket is to use a hospitality provider who will be able to offer you tickets for your day of choice alongside other extras. This is the most expensive way to view the tennis on show, but also the most luxurious. By far the most common way tennis fans try to get tickets for Wimbledon is through the public ballot. This ballot has been running since 1924 and is how most centre court, No.1 and No.2 court tickets are sold. This is the UK and overseas ballot, so anyone can try and get tickets this way. It is usually vastly oversubscribed so your entry into the ballot does not guarantee a ticket to Wimbledon. The ballot usually opens in September and closes at the end of December. If you’re an early bird, you can get down to Wimbledon and queue on the day. Every day there are 500 tickets reserved for Centre Court (except final 4 days), No.1 and No.2 courts, as well as several thousand tickets that gain you entry into the grounds. You are advised to be there a few hours before the grounds open at 9.30am, so you’ll need to be there for 7.30am at least to stand a chance. Wristbands are given out at 7.30am. You’ll find some people camp overnight to have the best chance of a show court ticket. Finally, a small number of tickets are made available online the day before, so it can be worth checking each day in case you get lucky. 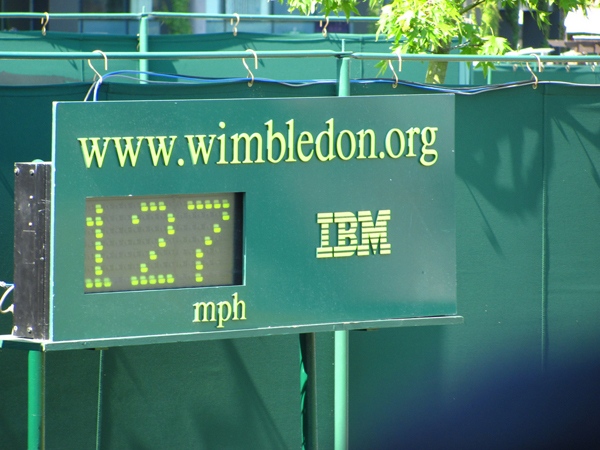 How much are Wimbledon tickets? 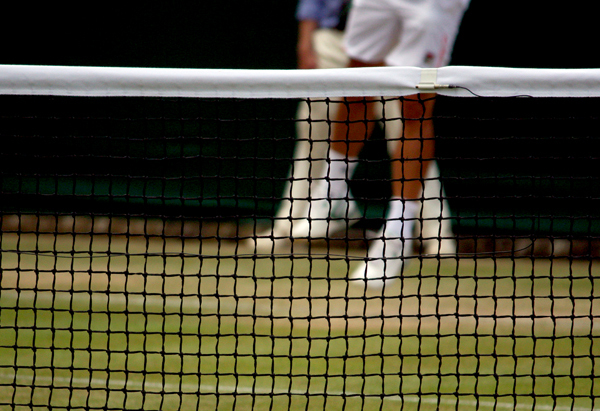 Prices for Wimbledon tickets do vary depending on how you obtain your ticket and which court or day you are attending. As a guide, prices can be between £41 to £190 for No.3 court or above. It is cheaper to visit in the first week rather than the second week as the tournament progresses and outside courts/ground entry is the cheapest way to see the tennis. Wimbledon grounds open at 10.30am and play starts on Courts 2-18 at 11.30am daily. On show courts play starts at 1pm except for the championship final which starts at 2pm. Depending on the weather and the match in progress, play usually ends around 9pm. At Wimbledon, there is a good chance that rain will occasionally stop play. If this happens often enough in the first week, the tournament can sometimes have a backlog of play that cannot be completed. Wimbledon will then host a middle Sunday (usually a rest day) to catch the schedule up. Tickets for this bonus day are usually sold on the door. These are very rare occasions and with the new roof(s) in place, tickets for the main show courts would not be included in this bonus days play. Some of the catering figures at Wimbledon are mind-blowing. As everyone relates Wimbledon to strawberries and cream, let’s start there. 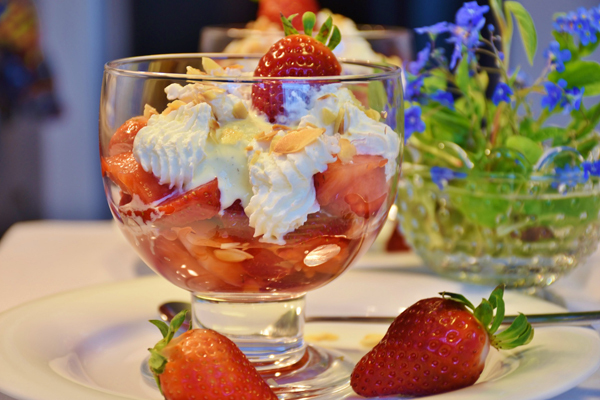 34,000kg or 166,000 servings of English strawberries are consumed over the fortnight, coupled with 10,000 litres of dairy cream. 29,000 bottles of champagne are being poured. 320,000 glasses of Pimm’s are raised. 86,000 ice creams are licked. 76,000 sandwiches are also eaten throughout Wimbledon. 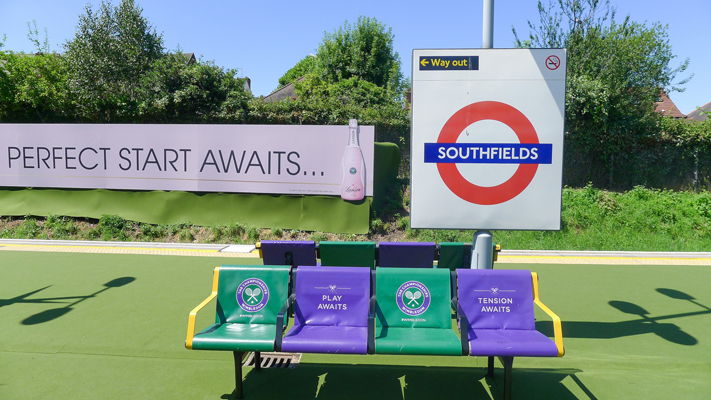 We recommend that where possible you use public transport to visit Wimbledon. By tube, you get off at Southfields (District Line) or Wimbledon (District and Mainline). It is a 15-min walk to Gate 1 from Southfields and a 5-min walk to the entrance to Wimbledon Park where the queue is located. London General operates a bus service direct from St Pancras, Euston, Baker Street, Marble Arch and Victoria to The Championships, departing every 30-min. Is Wimbledon worth visiting when the tournament is over? It would be amazing if your trip to London coincides with The Championship, but if it does not, Wimbledon is still well worth visiting. It is a UK sporting icon that exudes atmosphere and memories at every turn. In fact, visiting Wimbledon when the tournament is not underway, will give you access to areas you’d never have during The Championships. By visiting the museum you can get up close with the trophies, test your skills on the Batak wall and learn how The Championship has developed since 1877. You’ll also be able to see the clothing and accessories of your favourite players. The Museum runs several exhibitions throughout the year. There is one dedicated to tennis in the Olympics, one charting the evolution of racket technology and another showcasing the tennis posters throughout the years. Once you have your museum ticket, you can also visit Centre Court, accompanied by a tour guide for a short 10-min visit. These tours depart outside the museum every 60-min. 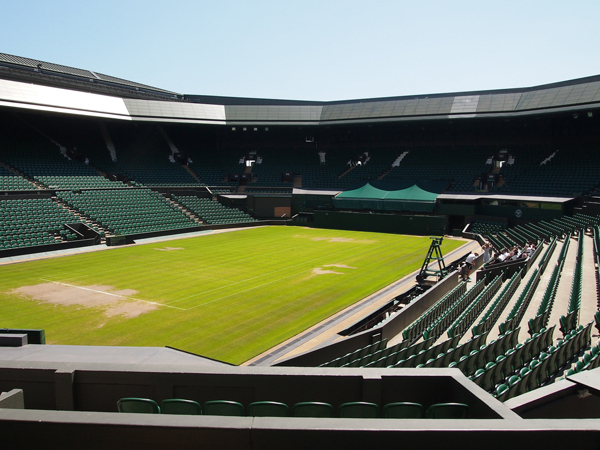 The Centre Court is unavailable between 19 June – 21 July. Led by a friendly guide you’ll learn about the grass used, site improvements, see facilities for the press, broadcasters and for the tennis players themselves. So, that is Wimbledon in a nutshell. A place of sporting history forever etched into the English landscape. A place to inspire the future and entertain the current. If you can get tickets, you’ll be attending one of the showcase sporting events in the world. If you decide to visit at other times of the year, you’ll be walking in sporting history and have a great day out. As players walk out onto centre court at Wimbledon, the famous quote from Rudyard Kipling guides them towards the spirit of play that is expected at the All England Tennis Club. This tells you all you need to know about the ethos of this legendary tennis club and why it is such a popular attraction. Please do share your experience of Wimbledon with us at London Toolkit in the comments section. We’d love to hear from you. If you’ve taken a picture of the tennis tournament or been on the Wimbledon tennis tours, just use the hashtag #londontoolkit in your social media feed for a chance to be featured.